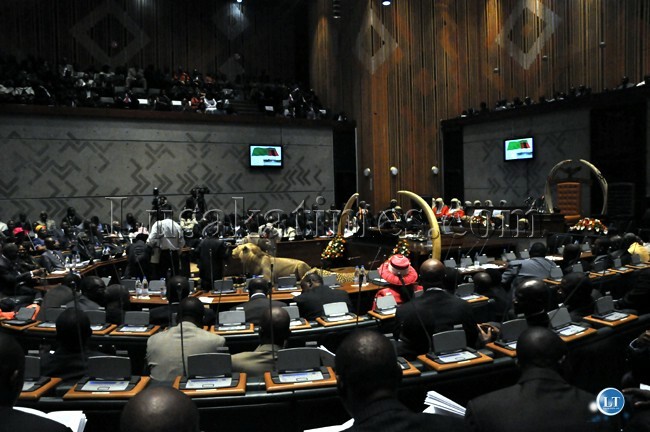 Parliament yesterday unanimously approved the abolition and creation of Government ministries and departments recently established by President Michael Sata. Vice- President, Guy Scott said the President had constitutional powers to realign Government ministries and departments to make them more effective. Ministry of Education, Science and Vocational Training now becomes Ministry of Education, Science, Vocational Training and Early Education. The other ministry created are the Ministry of Lands, Natural Resources and Environmental Protection. It was previously called Lands, Energy, and Water Development. Ministry of Mines and Natural Resources is now called the Ministry of Mines, Energy and Water Development. The Ministry of Local Government, Housing, Early Education and Environmental Protection has been changed to Ministry of Local Government and Housing. Supporting the motion, leader of the opposition, Felix Mutati (MMD) said the decision by President Sata to abolish and establish the Government ministries and departments would foster efficiency in the civil service. Create a Ministry of Tourism, Game Parks and Wildlife. In East Africa Tourism is a major forex earner ans as such it is a separate Ministry. I think the Ministry of Education, Science, Vocational Training and Early Education should just be called Ministry of Education..we could save some government ink and stationary on letter heads.Ministry of mines,water energy…there will be a conflict of interest there as some blogger last week put it.Local government and housing….isn’t local govt responsible for housing ordinarily?Don’t councils fall under local govt and doesnt the council collect rates for houses and busineses.Hello? Sata has just created another ministry and appointed a cabinet minister kikikikikiki shooting from the hip. Did you just approve my Ministry of Education and Early Education? You couldnt even edit the title? Ministry of lands & natural resorces then a separate ministry of mines,water and……hello? arent all those natural resources? So how many ministries do we have now? Ministry of Late and Early Education. Hello, Neat post. There’s an issue with your site in web explorer, could test this? IE still is the marketplace chief and a large component of people will leave out your great writing due to this problem.